Q: What is a statistic? A: A function of one or more random variables. Usually statistics are designed to extract useful information from a noisy collection of data, such as using the median to find the central value of a set of measurements. Thus the MLE (maximum likelihood estimator) for the centroid is the mean when the data are Gaussian, but the MLE for the standard deviation is biased -- the prefactor should be (n-1)-1. But for large data sets this error goes away, so the MLE's are said to be asymptotically unbiased. But if you divide your data into a large number of subsets, and get MLE's for each subset, and then average the estimators, this bias can get to be statistically significant. MLE's are also efficient, so they are generally good things to use. This situation occurs in practice when data are digitized with a least significant bit that is larger than the actual noise. If you have data taken under these circumstances, you should consider using minimax fitting, where you minimize the maximum absolute value of the error instead of minimizing the sum of the squares of the errors. because they are independent. So if experiment 1 was done prior to our experiment, we could use L1(M) as the prior distribution in Bayesian statistics. However, it is a good idea to have separate discussions of what our experiment says about the models, and what the combination of all experiments say about the models. Our experiment is well described by the likelihood function for our data. The combination of all experiments is well described by the product of all their likelihood functions. If these experiments are any good, then the combined likelihood will be sharply peaked. But if the experiments are not very definitive, then a priori assumptions about the model can determine the most likely case. These assumptions can be codified in the prior distribution. 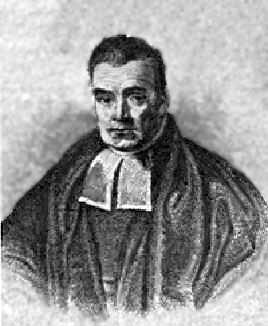 Since the Bayesian approach gives us a place to put our a priori assumptions, it encourages us to think about them, which is generally a good thing. but if the choice of the prior distribution has a significant effect on the outcome, then we just don't have enough data. Since I like to think that observations do matter, I take this with a BIG grain of salt. Three random processes with the same correlation function and hence power spectrum, but very different two-point probability densities. A random process which is Gaussian but not stationary: the standard deviation varies with time. Top: 3 realizations of a random process which is Gaussian and stationary but not ergodic. The two-point pdf from one realization sampled at many times is very different from the two-point pdf from many realizations.